Apple has rejected registration of ‘Samsung Pay Mini’, which is a mobile payment system for online payments only, onto its app store. Samsung Pay Mini is a simple mobile payment service that Samsung Electronics is going to introduce in January. Competitions between Samsung and Apple have expanded towards markets for online payments, and Samsung has decided to focus on Android rather than providing its service through Apple devices. According to financial industries and IT industries on the 11th, Samsung Electronics is going to launch its Samsung Pay Mini in January. Initially, Samsung has been preparing Samsung Pay Mini in order to expand its Samsung Pay service towards online payments. It finished testing connection of Samsung Pay Mini with some of South Korean credit card companies and has decided to launch it in January. Although Samsung applied for registration of Samsung Pay Mini on Apple’s app store in order to link Samsung Pay Min with iPhones, it is confirmed that Samsung recently received a notification of rejection. 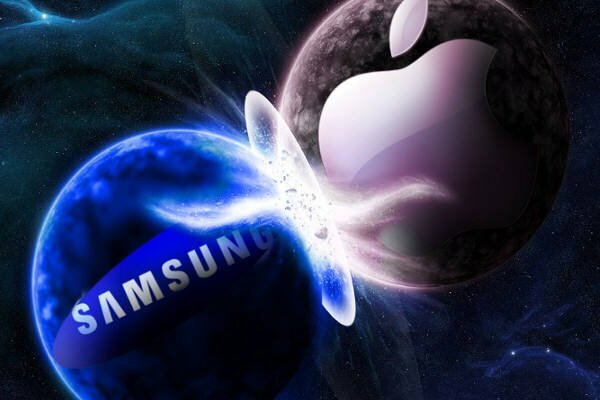 Samsung Electronics has decided not to reapply again to Apple’s app store and has decided to focus only on Android markets that cover 85% of global markets for Smartphones. “After Apple rejected registration of Samsung Pay Mini onto its app store, we have decided to focus on Smartphones with Android OS.” said a representative for Samsung Electronics. Procedure for registration onto Apple’s app store is known to be very complicated. Unlike how the procedure for Google’s app store takes about couple hours, procedure for Apple’s app store usually takes about a week. “Although procedure for registration onto Apple’s app store is complicated, Apple might have rejected registration of Samsung Pay Mini in order to keep Samsung Pay, which is more popular than Apple Pay, in check.” said a representative for an industry. Some believe that Apple is not accommodating Samsung Pay through its devices by recognizing the popularity of Samsung Pay which is competing against Apple Pay. Apple is thinking about launching Apple Pay in South Korean markets during first half of 2017. However Apple Korea did not give any answers regarding this when it interviewed with The Electronic Times. Main reason why Apple rejected Samsung Pay Mini is not exactly known. It can be that Apple rejected Samsung Pay Mini because its particular functions do not meet with Apple’s policies on security and regulations. If this is the reason then Samsung can reapply after tweaking some of functions according to Apple’s regulations. However Samsung has decided not to reapply again. If Apple rejected Samsung Pay Mini without any particular reasons then there is a cause of violation of Fair Trade Law. “If Apple rejected Samsung Pay Mini without any particular reasons then this can correspond to rejection of a trade out of unfair trade moves.” said an attorney of a legal firm who specializes in IT areas. After being launched in August this year, Samsung Pay was launched in 9 countries. Samsung Electronics made its payment service as an application in order to go after markets for online payments and to spread Samsung Pay globally. It has also been developing ‘Samsung Pay Mini’ for more than year in order to allow people to use its service regardless of brands of Smartphones. It finished testing Samsung Pay Mini with credit card companies and already applied for copyrights in South Korea and other countries. Apple is also very active trying to increase percentage of online payments that are made by Apple Pay. Apple Pay is based on NFC (Near-Field Communication) and does not require payment terminals and this is why Apple is carrying out policies that focus on online payments that do not require payment terminals.